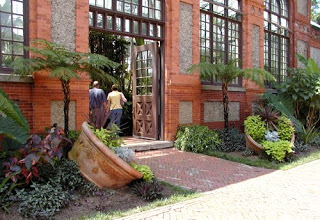 As mentioned in earlier blog posts, Brigette and her mom have been to Biltmore so many times in the past that they now go with specific missions of things to see rather than trying to see everything at once. 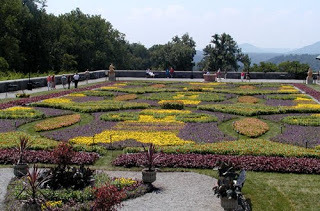 This time, the plan was to visit the Biltmore Winery, to see the Flower Carpet and to check out what’s currently blooming in the gardens (with a side trip to the Gardener’s Place shop behind the Conservatory where Brigette always picks up a plant before heading home). 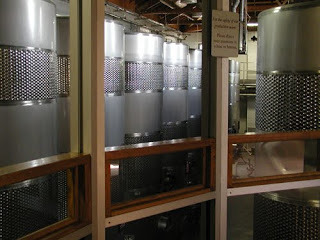 The tour ends in the tasting room, which used to be where the milking process took place when the Winery was a dairy. 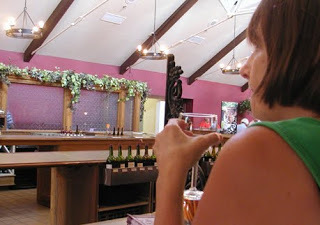 Our tasting host, Mary Ellen, was fabulous and she made some really great recommendations, including the Limited Release Malbec, which might now be in competition with the Biltmore Sangiovese as Brigette’s favorite. Biltmore describes its Malbec as having “intense aromas of spice, blueberry and plum”. Yum. Our picture, of course, does not do the Flower Carpet justice, but rest assured, it is as grand as everything else at Biltmore. 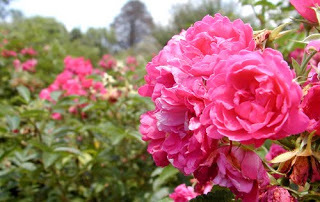 Our next to final stop was to the gardens, where the roses are in bloom and smell wonderful. You can see an entire list of what’s blooming in the gardens at the Biltmore website. 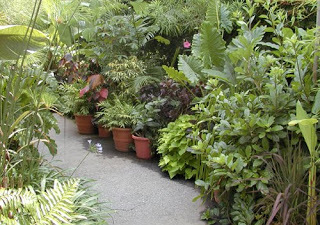 Walking around the Conservatory, you are greeted by several container plantings. These gave Brigette some great inspiration for next year’s flower containers at the Inn! It was hard to choose which plant to purchase this time, but Brigette ended up with a beautiful dark plum Huechera (coral bells), which will be planted at the Front Porch Garden at the Inn, near the tulips that were purchased from Biltmore two years ago. If you are going to be staying with us at the Inn on Mill Creek, feel free to purchase tickets for Biltmore right here at the Inn and save $10 per ticket, plus your tickets will be good for two consecutive days. 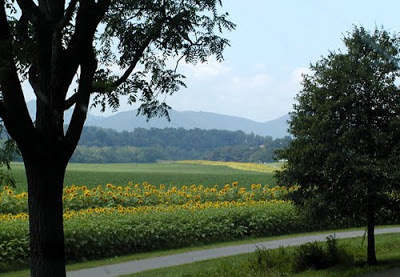 With so much to do at Biltmore, you can definitely make a two day trip out of your visit. This entry was posted in Uncategorized and tagged Biltmore, flora and fauna, food and drink, outdoors by Inn on Mill Creek. Bookmark the permalink.